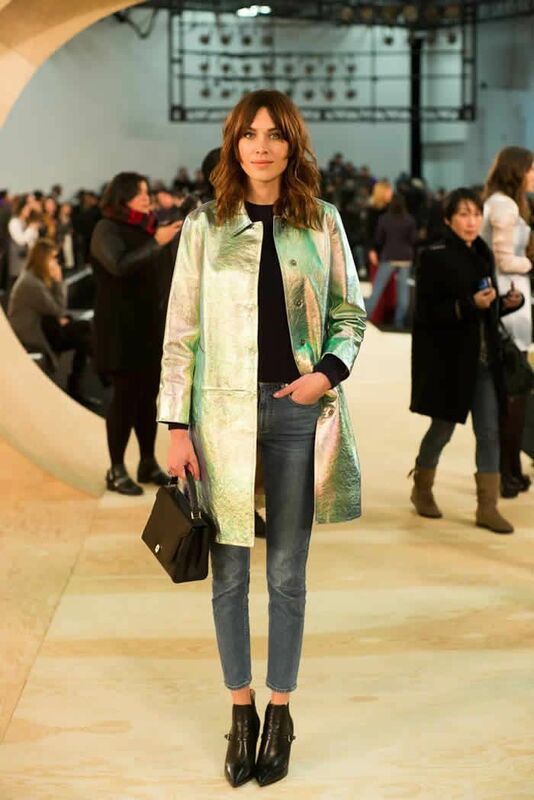 Our Monday morning just got a lot brighter, thanks to the prospect of Alexa Chung's new fashion line. I have been fortunate enough to have found a wonderful team from various corners of the fashion industry and beyond to help realise my vision and make this lifelong dream a reality. We hope to bring you wearable, cool clothing you can live in and love in, whilst exploring the sartorial relationship between masculinity and femininity, something that has been a cornerstone of my personal style since I was old enough to dress myself. Now, we're setting our sights on May 2017 when the collection launches and currently creating a wish list of the pieces we hope to see when it debuts. With a history of trendsetting and a personal style that's created legions of fans, we're hoping her eponymous line will take us one step closer to nailing her distinctly nonchalant preppy-meets-ladylike look, complete with printed blouses, live-in denim, and quirky flats. Herein, we've curated a list of the 10 pieces we hope to see.